China now has more high-performance supercomputers than ever before, again besting the United States in global rankings, a supercomputer tracking organisation said. The standing corresponds with China's growing reputation as the global leader in supercomputers, as the Asian power prepares to launch in June 2018 a prototype exascale computing machine—a "super supercomputer". Some 202 of the world's fastest supercomputers are in China—compared with 143 in the US—according to Top500, a site that has tracked supercomputer development for more than two decades. The list, produced twice a year, rates supercomputers based on speed in a benchmark test by experts from Germany and the US. "It is the largest number of supercomputers China has ever claimed on the Top500 ranking," the survey said on Monday, "with the US presence shrinking to its lowest level since the list's inception." Supercomputers are vital tools for advanced scientific work because of their ability to perform rapid calculations for everything from weather forecasts to missile development. China has not only overtaken the US in sheer numbers, but also in aggregate performance. Two of the fastest machines on the list—the Sunway TaihuLight and Tianhe-2 (Milkyway-2)—are in China. Located at China's national supercomputer centre in the eastern city of Wuxi, the Sunway TaihuLight is used for climate modelling and life science research. Taking the third and fourth slots on the performance list are supercomputers from Switzerland and Japan, respectively, while the American "Titan" sits at fifth. 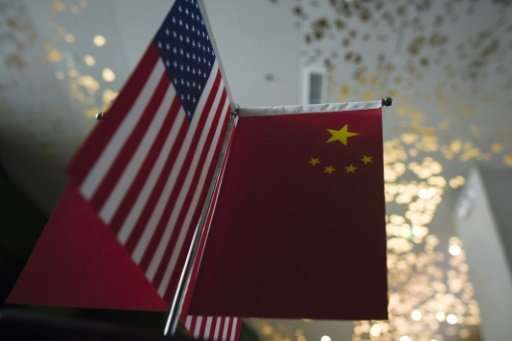 The US led with 169 systems to China's 160 just six months ago, but its performance fell while China's improved in a "reversal of fortunes", the survey said. However, it remained well ahead of third-place Japan, which has 35 machines on the list. China surpassed the US in the Top500 list for the first time in 2016. If China successfully develops a super supercomputer prototype this coming summer, it will take the lead in an international race to a build a system capable of one quintillion (a billion billion) calculations per second. And GNU/Linux becomes the only operating system powering those 500 top supercomputers. Awesome. What does off the books deep state computing say regarding the USA? It very likely says that china is not even close. What are the Chinese doing with all those supercomputers? I'd like to think the supercomputers are being used for scientific purposes, such as cancer research or searching for dark matter. But I suspect that many of them are used for Bitcoin mining, monitoring political dissidents, or simply sitting as status symbols. Not that America is that great with its supercomputers. Some of the major US users are stock market "quants" who squeeze profits out of the market by flipping millions of shares a day.